Modules are the building blocks of Kinetic. Out of the box Kinetic is ready to go but you will soon want to start configuring Kinetic to suit your needs. Kinetic's modules are what makes Kinetic unique. That and the shed load of other features! Change or create new activities and events. Module set-ups are unique for each event. Create events to help organize your sessions. Displays the current GPS signal strength and coordinates. Choose between high GPS accuracy, or save battery life with a lower accuracy setting. Keep track of your time, set time goals and monitor your progress against predicted finish time. See how much distance you’ve covered, set distance goals to track remaining distance and monitor your progress against a distance goal and/or a predicted time goal. Displays current altitude and monitors your ascent/descent rates, and shows altitude graphs over both distance and time. Set alerts and listen to your progress in real-time with voice notifications including time and distance goals. Set the frequency of the alerts to suit your activity. Track the amount of calories you burn according to your activity. Displays total and current calorie burn rate calculated on your personal measurements, which can be set in your profile details in Settings. 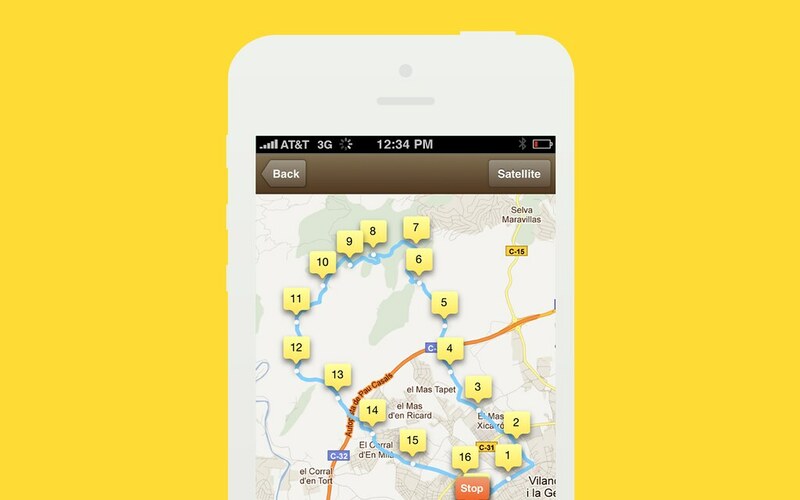 Displays a live map of your current location. View in compact or full screen, or set the map as the background and combine with your timer view. Use the built-in digital compass to determine your current heading. Play your favourite music while you train. Simply set and control your iPod playlists within the App itself. A simple guide to show you around Kinetic and get you started. Tap Start to begin recording a session. When you are finished tap Stop. Kinetic will save your session data into its history. Simple. The default activity is set to Running, but you can easily change that.